Dr. Carpet Orange has top shelf upholstery cleaning solutions. Upholstery cleaning is a professional service that demands great experience and wide knowledge of upholstery types. It is vital to know the type of upholstery that needs the cleaning. The reason is that different types of upholstery will need different levels of pressure and heat. 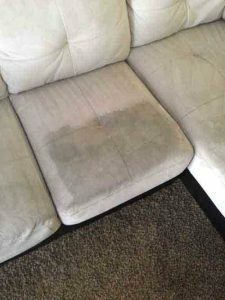 That in order not to damage the natural soft look and feel of the material.In addition, upholstery cleaning has to deal with yet another obstacle. As opposed to carpet cleaning, upholstery cleaning has to penetrate through a thick layer of cushion. Most of the residential carpets are laid on top of a pad. This layer of pad provides insulation and reduces noise. The normal thickness of a good quality pad could be roughly half inch. 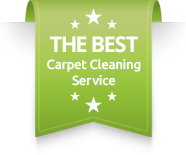 Therefore, when we perform carpet cleaning, the pressure needs to reach down the pad and extract back all the residue that gathered there.However, the typical cushion in our couch could have a thickness of over 5 inches. So, imagine having a spill on the cushion, or even worse, pet urine. How is it possible to reach all the way through the cushion and extract all the residue? Well, in order to maximize results of the upholstery cleaning we have developed a great set of skills based on years of experience. We know how to adjust the heat and the pressure to provide the deepest cleaning without harming the upholstery itself. Upholstery cleaning Orange by Dr. Carpet Orange. The city of Orange has many beautiful homes and estates. Over the years many of you have joined our Dr. Carpet family for your home cleaning needs. Our upholstery cleaning service offers a delicate touch for your beautiful sofa. We know many of you hesitate to order an upholstery cleaning when its time because of past experience. However, our experience with upholstery cleaning tells a different story. We will deep clean you sofa, couch, sectional sofa etc, and we will do it to your satisfaction. Our upholstery cleaning in Orange has won many awards and voted top upholstery cleaning service for many years now.Please contact Dr. Carpet Orange for more information about our upholstery cleaning service.